Built in a methane area, this project features extensive build complexities, including the adherance to strict methane mitigation standards. 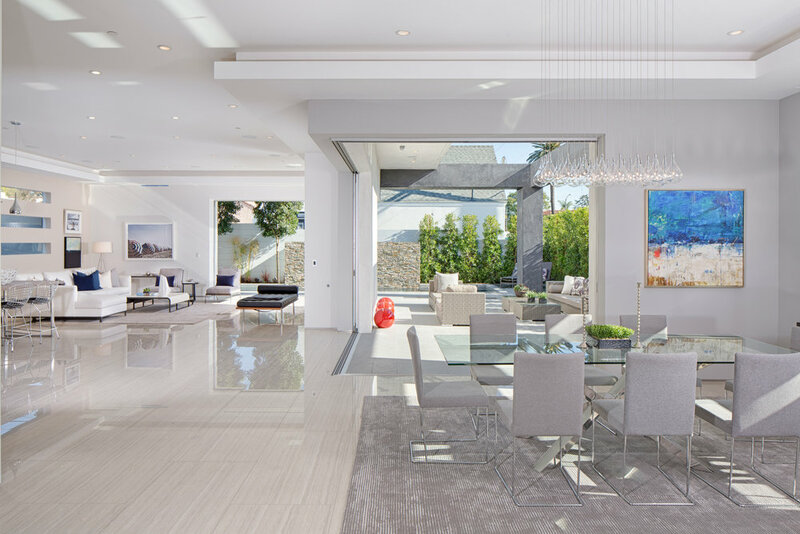 A dramatic 30 foot ceiling living room and an adjacent library room unfolding to an open floating staircase are the highlights in this cutting edge home. Expansive Fleetwood pocket doors integrate the indoor and outdoor living areas into one fluid space. The build featured key elements such as an exterior waterfall movie projector from an overhead beam and finish wrapped field glazed windows for a cutting edge modern look.